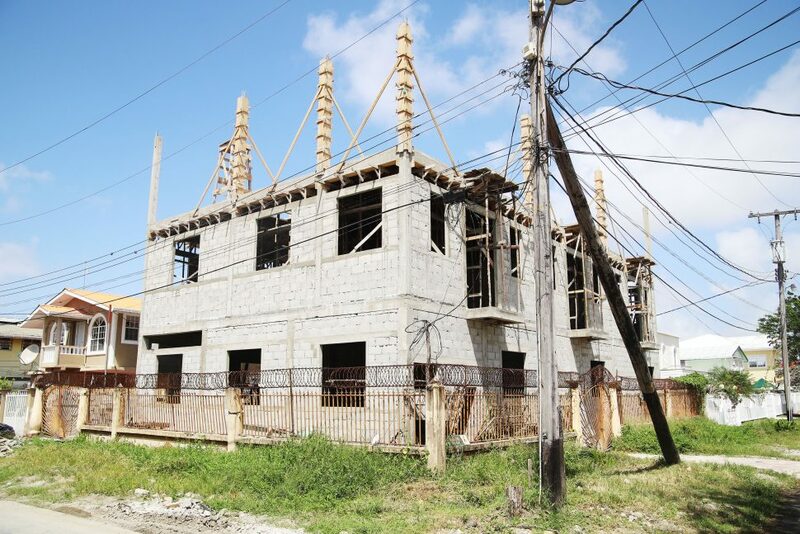 Claude Deygoo, a resident of Bel Air Park, has secured an interim injunction prohibiting realtor Anthony Da Silva from constructing what he describes as a multi-storey commercial apartment building in the area which is solely a residential zone. The injunction granted by High Court judge Simone Morris-Ramlall, restrains Da Silva from continuing any construction works on the building situated at Lot 66 Bel Air Park, Georgetown, pending the final hearing and determination of the action mounted against him by Deygoo. Injunctions have also been granted against the Central Housing and Planning Authority (CH&PA) from issuing Da Silva any final building and planning approval in relation to the building—and against the Mayor and City Council (M&CC) from issuing DaSilva any building and planning approval, pending the final hearing and determination of the case. In his action which lists Da Silva, the CH&PA and the M&CC as defendants jointly and severally, Deygoo is arguing that construction of the commercial apartment by DaSilva is illegal. He complains that the building in question which is located obliquely opposite his Jacaranda Avenue, Bel Air Park property, will among other things, significantly change the character of the neighbourhood. In court documents seen by this newspaper, Deygoo said that DaSilva had demolished the two-storey residential home which previously occupied Lot 66, to construct the apartment building which is currently two stories, with preparations for another storey. The building he said, is occupying more than three quarters of the lot. The claimant contends that aside from breaches of the myriad laws, by-laws and regulations, the construction constitutes a public nuisance which would adversely affect him, (Deygoo) and other residents. As far as Deygoo is concerned, the building which will house numerous apartments/ hotel rooms will “totally change the character of the Bel Air Park neighbourhood,” and irreversibly reduce the value of not only his, but that of neighbouring properties as well. According to Deygoo, DaSilva has made no provisions for parking and therefore the streets in the area will be constantly encumbered by vehicles owned by occupants of the building. The claimant is of the view that if additional storeys were to be added to the building, it will further destroy the aesthetics of the community and it will directly affect him, since it would be blocking sunlight and airflow onto his property, “and most egregiously,” will result in an invasion of his privacy and safety, as individuals who reside on the planned additional storeys would be able to easily see into his property. Deygoo said that as a result of the unlawful construction, he has suffered, and will continue to suffer substantial and unreasonable interference with his quiet, peaceful, comfortable and ordinary use and enjoyment of his property; while adding that he stands to suffer tremendous discomfort, annoyance and inconvenience in his daily life. Deygoo through his attorneys Devindra Kissoon and Nicholas Carryl has advanced that the servitude is for the benefit of DaSilva’s neighbours, with the obvious aim of preserving the residential character of the neighbourhood. By the conclusion of the case, the claimant is hoping for, among other things, an order directing the respondent to re-construct the building in compliance with By-Laws of the Georgetown Building By-Laws and the servitude contained in the transport. He is also seeking such other orders or directions as the court deems just and as the circumstances warrant, as well as court costs.